Review: Centella Green Level All in One Mild Pad (Purito) – Oh My Stellar! This product was provided to me by Purito for my honest review. Affiliate links are not used in this post, except for in references to the COSRX pimple pads. Using cleansing and exfoliating pads is actually a relatively new thing for me. I first tried out the Neogen Bio Peel Pads (which I loved and still do) and I have also used the COSRX pimple pads before – which are alright, but haven’t given me any remarkable results. That being said, I love the ease of use for this product type, meaning that it’s really suitable for travel purposes or people who want a fast skincare routine: such as in the morning. 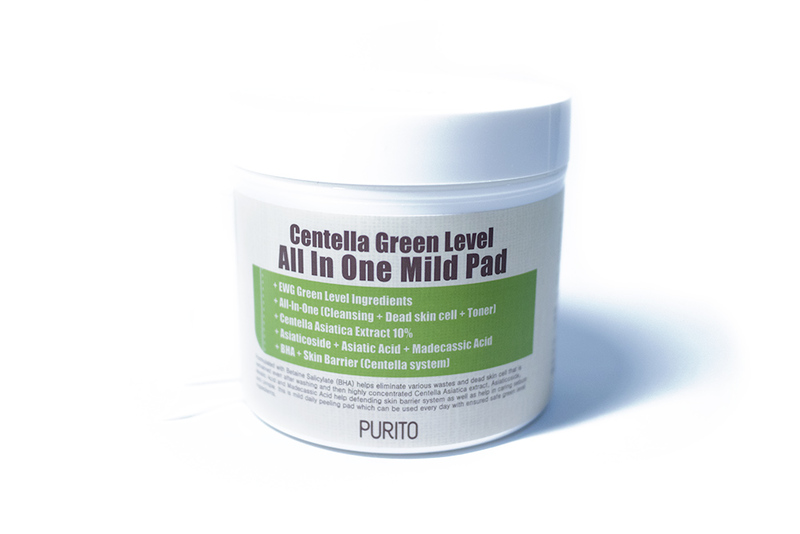 The product that I’ve been testing for the past three weeks is Purito’s All in One Mild Pad, which is part of their Centella Green Level range. You can read more about it in my earlier review of their Buffet Serum but, basically, this range uses all EWG green level ingredients and is safe for sensitive skin types as well. 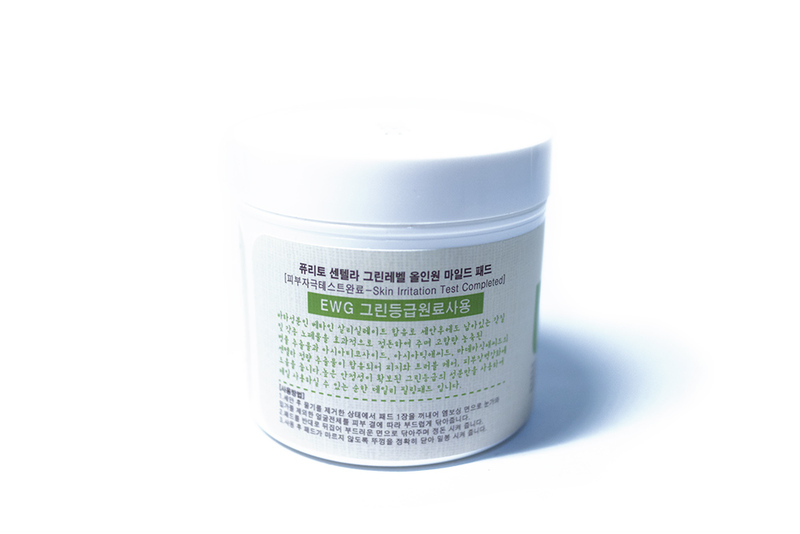 As you can see from the name, they also use Centella Asiatica Extract which is great for soothing skin. I started out using this every second day, but I’ve since started to use it daily (since I tested that it doesn’t irritate my skin at all), so – read on for my full review and experiences! The box packaging of this is just so cute! 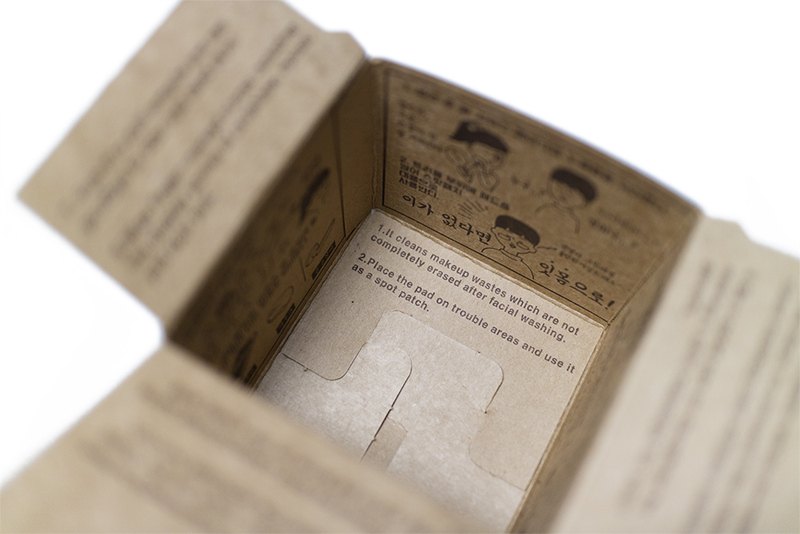 The outside is made of their usual brown box and the print is fairly simple and ordinary. 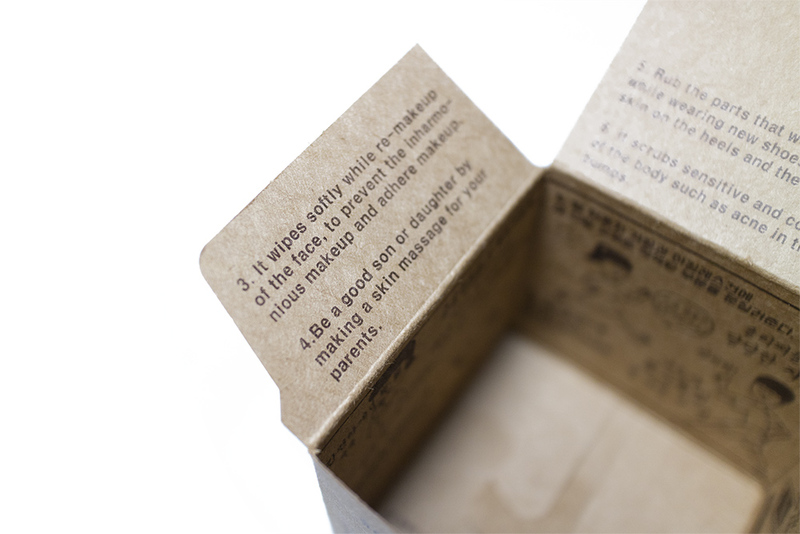 The cute part though is the instructions printed on the inside of the packaging which starts off explaining how the pads can help to remove make up residue, and then also continues to talk about using the Purito Pads to make a skin massage, easing body acne or hydrating dry elbows – and all of it is worded in a pretty cute way (see example above) and included some small illustrations with the Korean instructions. Even before I opened up the product, I had a little laugh with this. 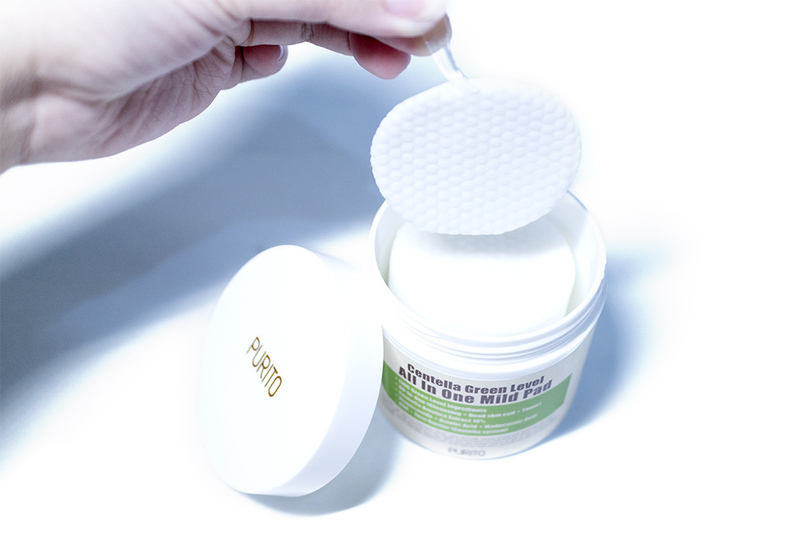 Opening it up though, the pads are stored in a lightweight, white matte plastic tub. It’s similar to the previous pad products that I’ve used and it’s lightweight and easy to stack (which is a good plus for someone like me who is a bit of a hoarder). 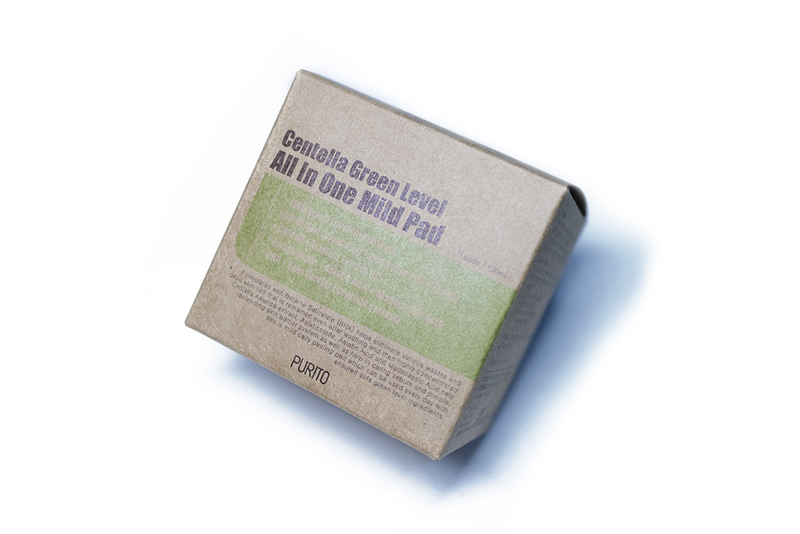 Since there’s 70 pads in there, it isn’t totally travel friendly but the form of the product is really easy to decant and carry around. 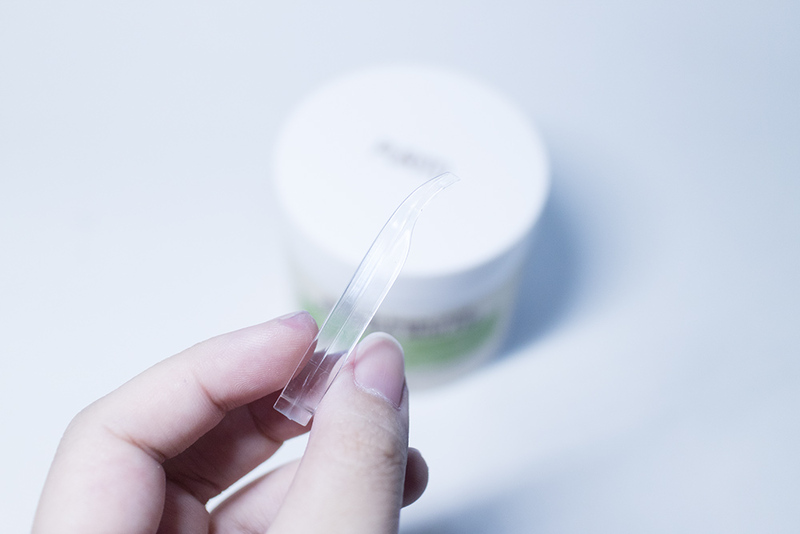 It also comes with a pair of small plastic tweezers (photographed below) which I haven’t had with previous pad products before. It’s definitely good for people who want to be extra careful with hygiene and I just keep mine inside of the tub so that I’m not searching around for it. There’s also no dust on the tongs that way. 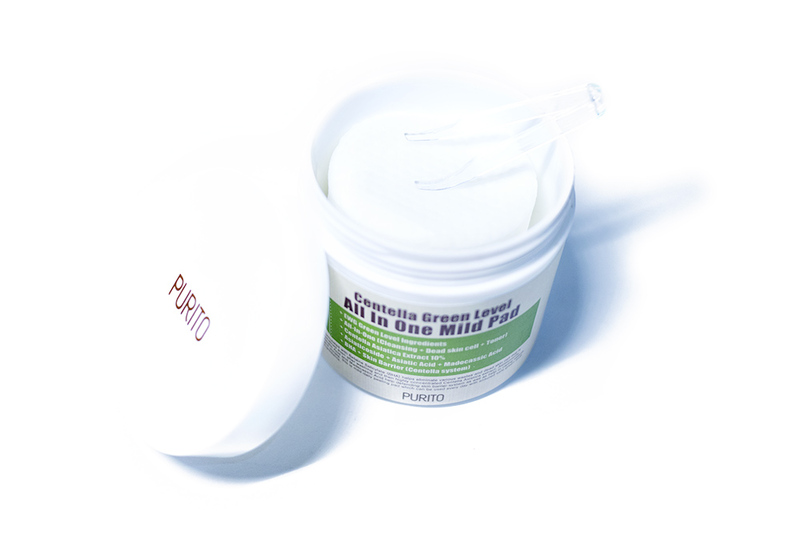 Overall, Purito’s concept is that they forgo extravagant and fancy packaging to focus on the quality of their formulas and products. That being said, I still think that their packaging is of a decent quality. 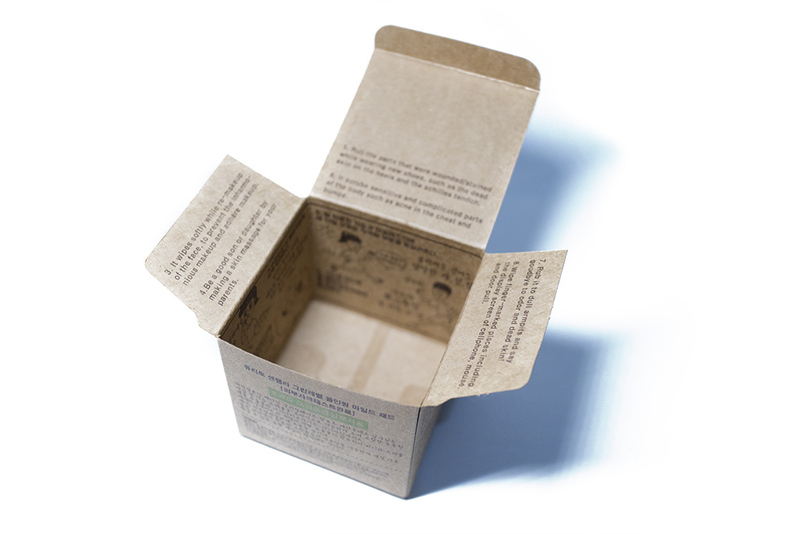 More attention can be put on the design of it (which doesn’t necessarily mean that it should be fancier, just better designed) but from the effect put into the box, I can see that they’ve put more thought into this. 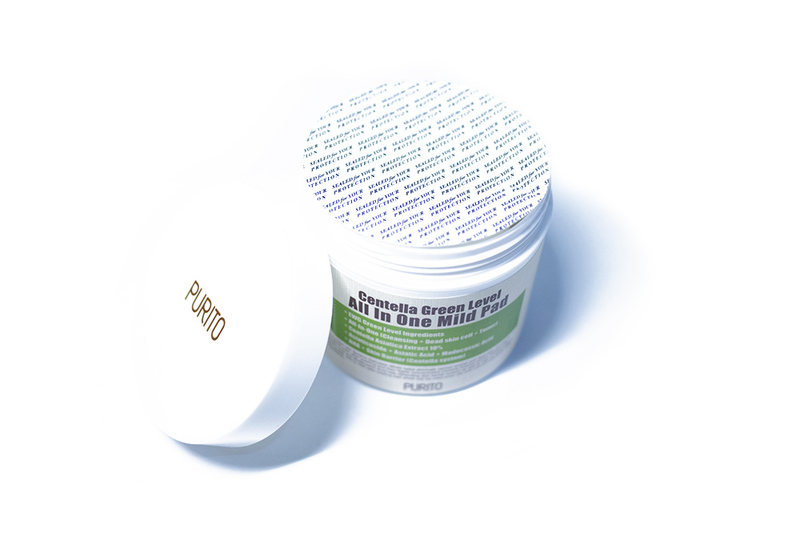 As it is noted that Purito Mild Pads don’t contain AHA, but rather making use of BHA, the reasoning behind this is the BHA is a lot milder on the skin will still being sufficient (in addition to the other ingredients) at removing dead skin cells. 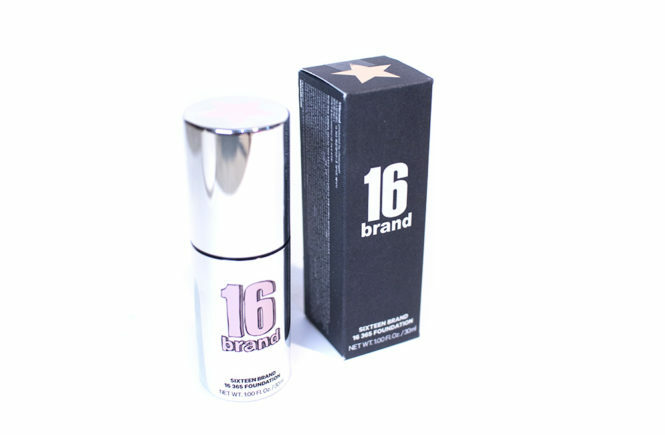 This means that it is safer for sensitive skin use and that it will not cause sun sensitivity or skin aging. The pads have two sides – one which is softly embossed and textured, while the other side is smoother. This is actually really common and I found that they’re about the same as other pads. 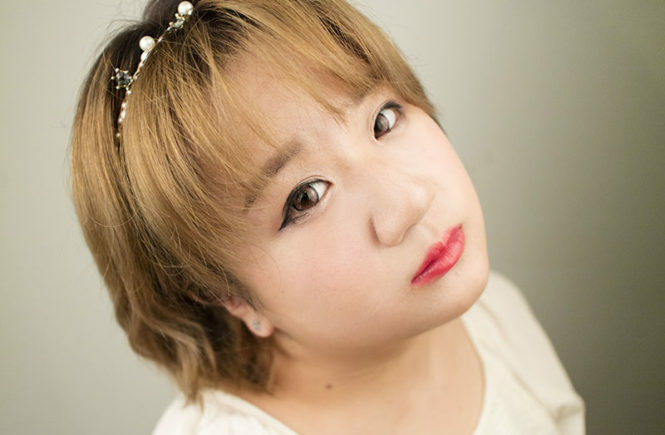 However, I was interested to see that they have different recommended usages for the two sides – the textured side is better for exfoliation, removing make up reside and sebum/oil (especially in cares where there are more dead skin cells like the nose, middle of the forehead and chin), while the smoother side is best for calming break outs, hydrating skin or even touching up make up (such as in cheek areas, neck or around the eyes where skin is thinner and more fragile). As I mentioned earlier, I had used this product for a total of three weeks. 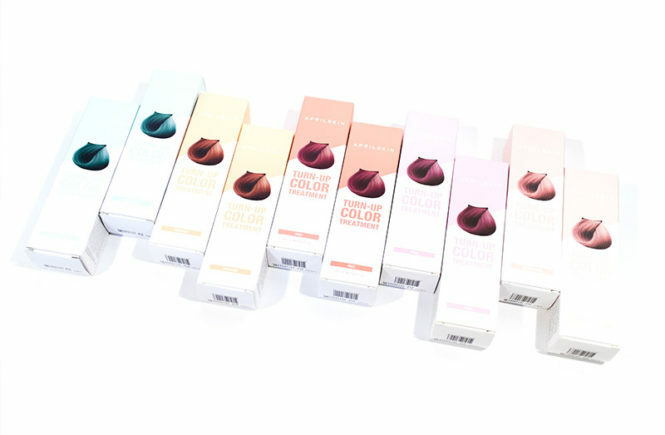 At first, I intended on writing this review after two but I felt that I wanted to give the product more time to give effect. 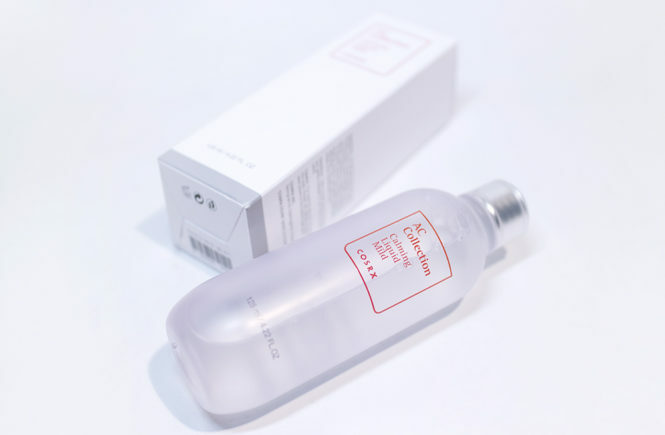 From a first impressions perspective, I do like the product – it is gentle on the skin and leaves me feeling very hydrated and soft, without being too abrasive. I also have a few sample packs of this and I’m sure that I will either take it travelling with me (because I love an easy cleanse and hydrate) or I will be giving them to people to try out too. 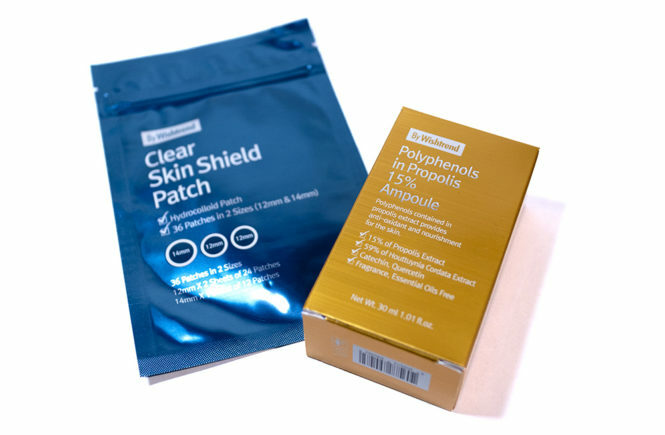 I’m a fan of these and, while I didn’t see a lot of change in terms of acne, it still seems to be comparable to the COSRX acne pads – except much more hydrating. While using these, I also noticed that it did a really good job of exfoliating my skin. I could see a lot of make up residue and dead skin cells on the pad. 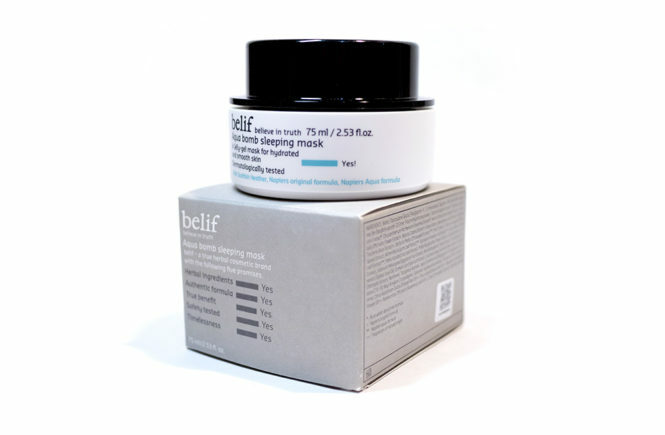 It left me with a very soft, clean and hydrated complexion and it was gentle enough to use every night. In the end, I ended up using a stronger manual exfoliator every week or two, but using these pads daily. After incorporating these pads into my nightly routine, I noticed an improvement in how hydrated and soft my skin was. 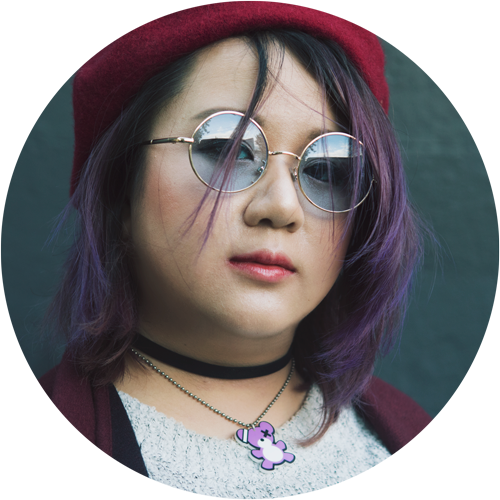 However, I didn’t see great improvements in acne or oil production (especially since I used these around the time of the month when I get more break outs) – it might have helped a little, bit not in a way that I would rave. It is great for a daily exfoliant though and, for those who have sensitive skin, this would be very suitable. For myself, it isn’t replacing my stronger exfoliants anytime soon, but I will continue to use it in conjunction. This is going to be a good product for people with sensitive skin (because the ingredients list is very clean) or those who want a simple and fast product – especially if you intend on travelling with them. The ingredients target a fairly wide range of skin concerns, so it is suitable for multi-purpose (face, cleansing or touching up make up, body etc). I’m personally going to continue to use this and I would recommend this for people who are after a gentle, daily exfoliating pad that will also hydrate their skin. 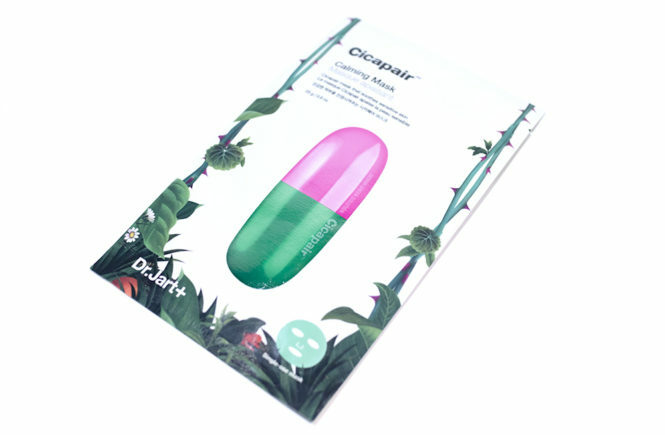 I wouldn’t say that this is better than the COSRX acne pads but, considering that I didn’t see strong acne improvements with that either, I think that this is similar – but more moisturising, which is always a good thing. 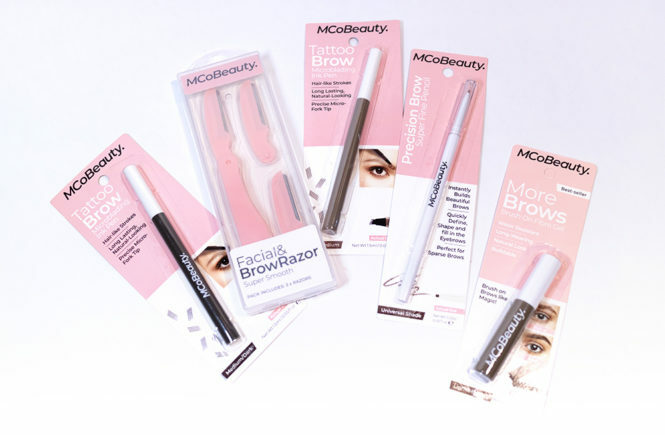 They do sell single packets of these (in sets of 5) that are very affordable and suitable for those who want to try it out before buying the full product. 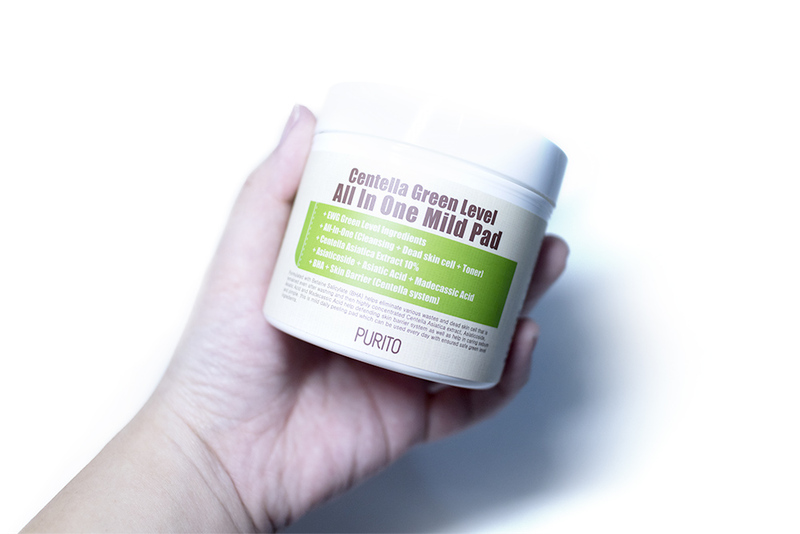 For people with sensitive skin, then this and the rest of Purito’s products are really great to check out because they are also transparent with their ingredients and the safety levels of their products. 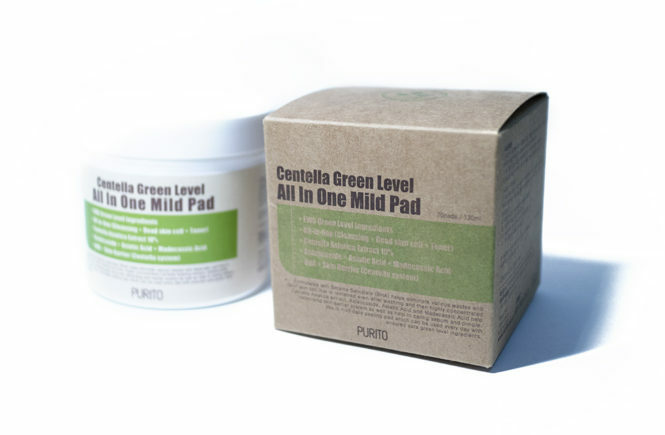 If you want to get your hands on the Centella Green Level All in One Mild Pad it is selling for USD$22 for 70 pads, or single pouches for USD$2.24 (5 pieces in total). 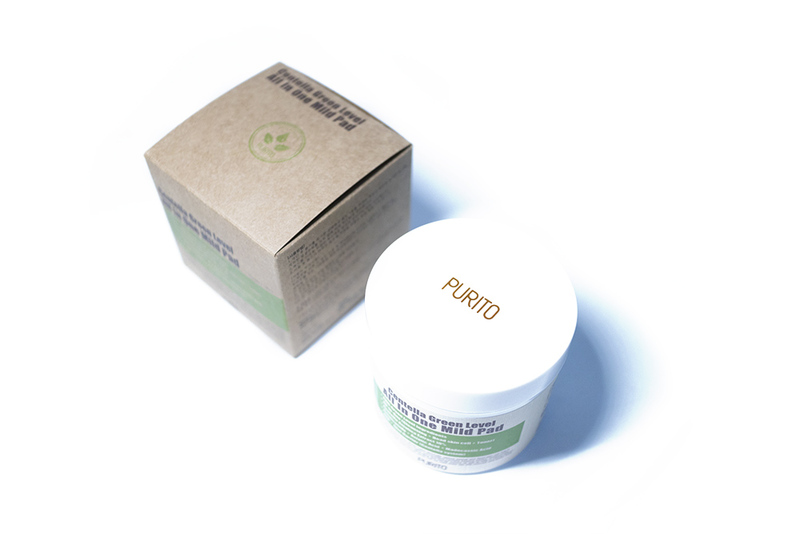 Alternatively, you can also visit the Purito website to see all of the other products that they sell.